Alexander, B., Adams Becker, S., Cummins, M. & Hall Giesinger, C. (2017). 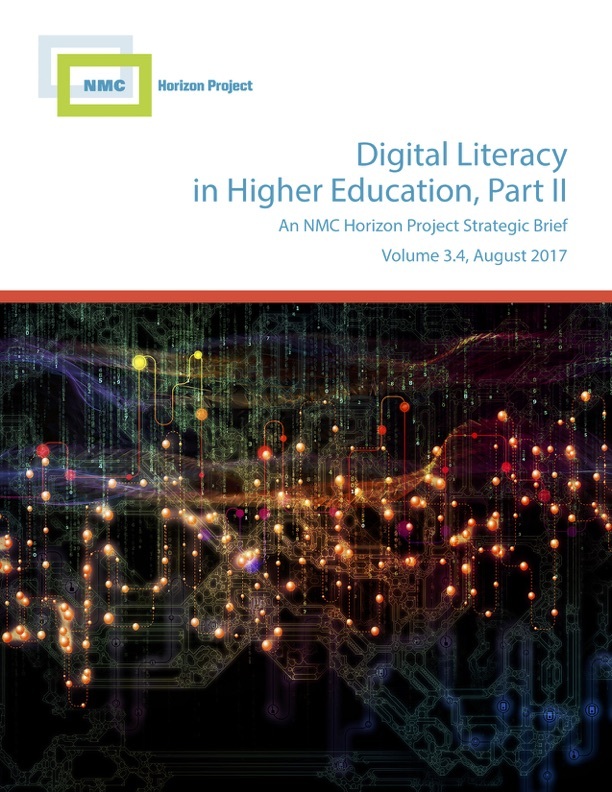 Digital Literacy in Higher Education, Part II: An NMC Horizon Project Strategic Brief . Austin, Texas: The New Media Consortium. (Volume 3.4, August 2017). Retrieved April 22, 2019 from https://www.learntechlib.org/p/182086/.